If you love meals that are super easy, totally tasty and use only a few simple ingredients then you are in luck! 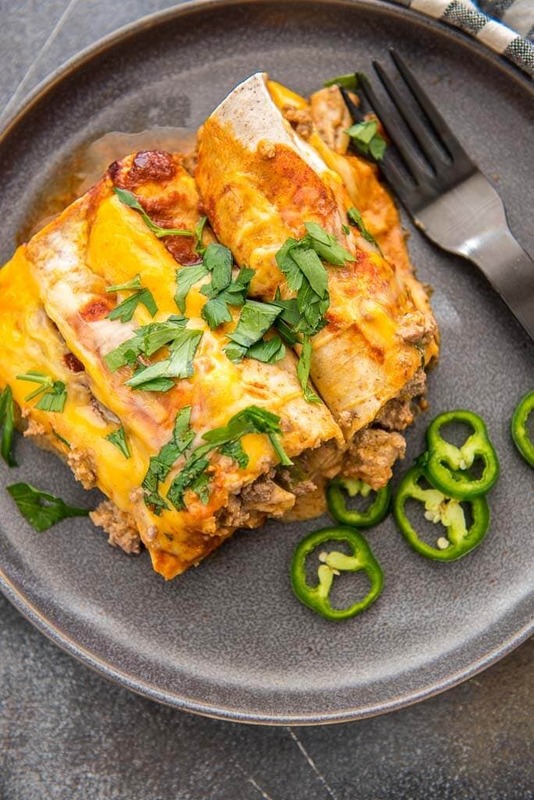 These slow cooker enchiladas come together in minutes for a delicious dinner the whole family will enjoy! 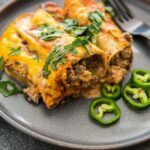 You may think ground beef enchiladas are boring, but this recipe helps take them up a notch or ten from okay to amazing. 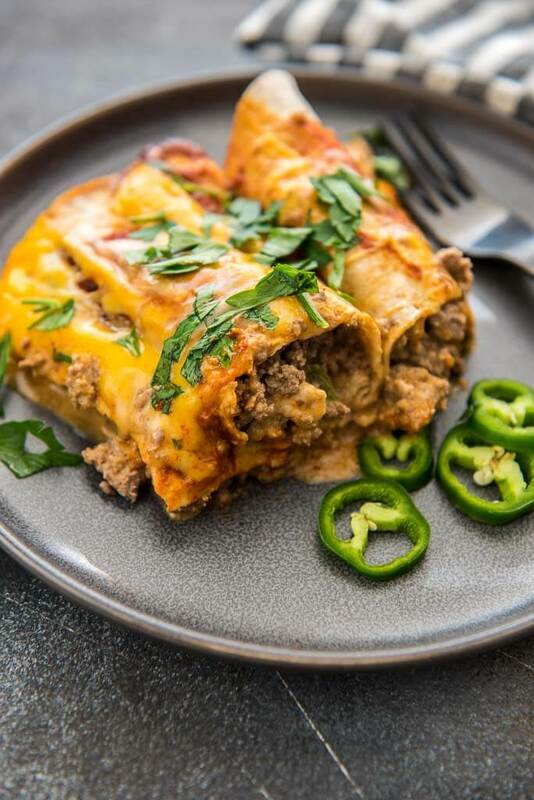 It’s easy enough to brown up some ground beef, but adding just two ingredients to that will make these enchiladas so flavorful and delicious. Freshly diced jalapeños give a little kick and cream cheese give it just the right amount of reach creamy flavor to make these your new favorite for a weeknight dinner. Even delicious enough to serve up when company comes, slow cooker enchiladas will become your new favorite go-to. 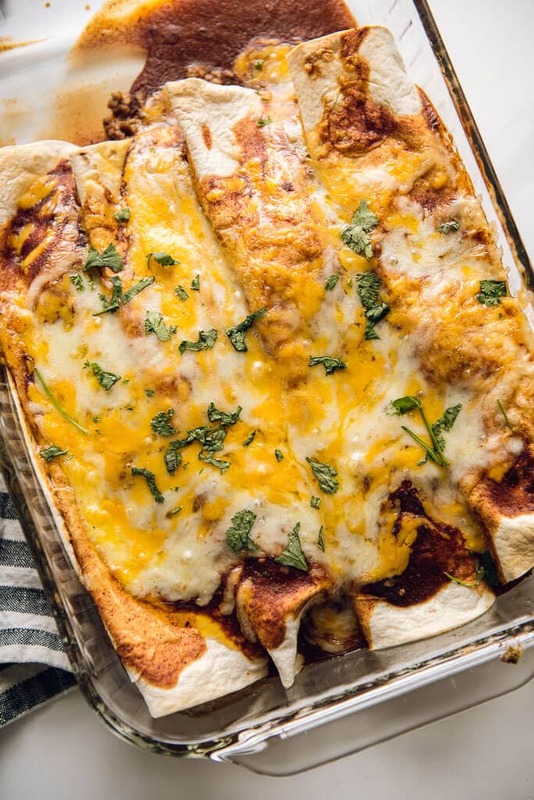 Do you use corn or flour tortillas for slow cooker enchiladas? try this recipe both ways and decide what you like best! 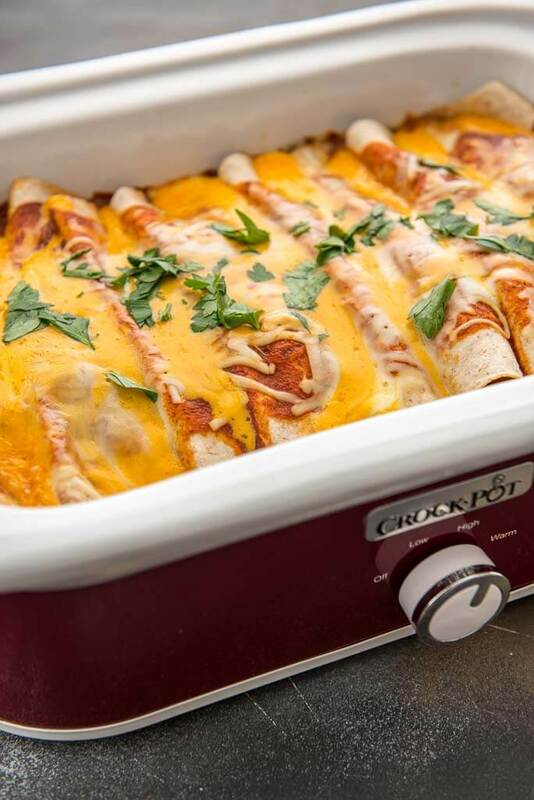 Can you really make enchiladas in a slow cooker? to save time, you can layer it like a casserole (tortillas on top and bottom) instead of rolling and still have all the delicious flavor! 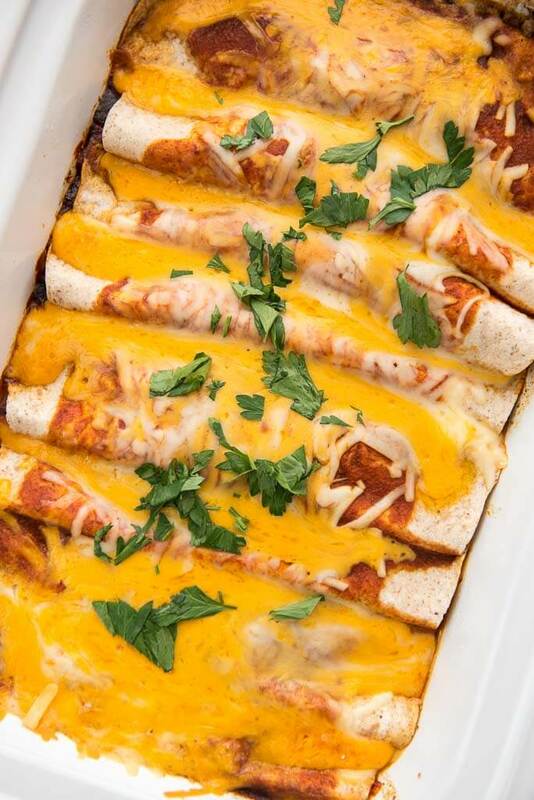 If you want to make this version of enchiladas but would rather just bake them, get my Easy Beef Enchilada recipe for the oven here!! 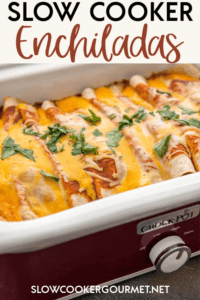 Use your favorite jarred enchilada sauce OR make your own using my favorite easy enchilada sauce recipe! !